Medicare is a United States government program to provide health insurance to at least 65 year old American citizens, permanent residents and younger people with certain disabilities. With a staggering claim rate of over a billion each year, it is not surprising that fraudsters take advantage of the coverage that Medicare administers. Most suppliers and providers of the medical industry do not abuse the Medicare program. However, there is a said few who have found the way to get around the Medicare system. Unfortunately, the only ones that really suffer are the members as the costs get passed on through raised premiums. Despite this most Medicare errors are not actually fraud and sorted out by calling the relevant department. For those that can’t be fixed, here is a quick guide on how to sniff out a Medicare fraudster. · The provider tries to convince you that you can get reimbursed even thought the service is not currently covered. · The provider persuades you into having more tests due to it being better for you and cheaper each visit. · You are positive you are charged for a service that the provider claims to be free. 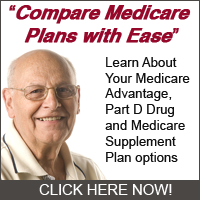 · The provider offers consultations free of charge for all patients covered by Medicare. · The provider declares to be a representative of Medicare without producing any proof. · The provider periodically ignores co-payments when they are required for the service and never asking what means you have to pay them with. · The provider make you pay for expensive equipment and services by telling you horror stories about your condition or giving you the hard sale. · Medicare receives a statement for services you haven’t even received. · You should never let anyone see your medical record unless they are the proper medical official. · You Medicare card number is personal, it should never be used for free services. · Never believe a provider who claims to be able to get reimbursement for non covered services. · Stay clear away from providers who say they are endorsed by the government of Medicare. Medicare wants to stamp out the fraudsters so much that they offer a reward program. You can qualify for a reward if you report fraud that is not already under investigation, is at least $100.00 and that the complaint was originally received after the 8th July 1998. Medicare’s investigations into fraud can take a few months or even a number of years. When the investigation is finally finished and you qualify for the reward, you might receive 10% or $1,000 (which ever is less) of the recovered value. So in the end it could be worth ratting out these fraudsters.